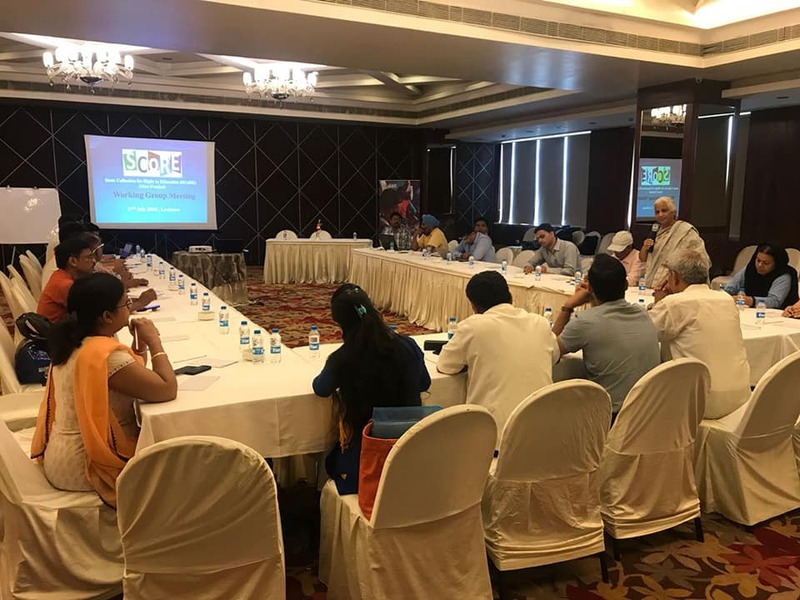 Score Uttar Pradesh, the state chapter of the Right to Education (RTE) Forum, conducted a state-level meeting in Lucknow on Friday and decided to launch a campaign demanding equal rights to education to all (Sabko shiksha ek saman, mang raha Hindustan') for making education a prime agenda in coming parliamentary elections. During the discussion, activists who had come to know from outside UP to attend the meeting were surprised to know that Uttar Pradesh does not have a State Commission for the Protection of Child Rights (SCPCR), a monitoring body for implementation of RTE Act. RTE Forum's Ambarish Rai, noting this, said, SCPCR is "non-existent in Uttar Pradesh for more than a year. There are several cases of violations of the Act but there is no any mechanism for grievance redressal in place. It shows the lack of seriousness on the part of the state government and neglect of the fundamental right to education."